Advancing the sustainable well-being of the people of Schenectady County. Catalyst. The Foundation is an investor and partner in projects with the potential to move the needle on our community’s most difficult issues, such as food insecurity, neighborhood blight, and disconnected youth. As a grant-maker, the Foundation puts money and resources where they are most needed. See our "Grants" section to learn more about the Foundation’s grants. Convener. As a leader of our charitable sector, we convene and facilitate -- gathering together organizations and people with similar missions to achieve as a group what none could do alone. Because the Foundation does not favor any one group over others and is only concerned with achieving the best outcomes for the community, no other organization is as well-positioned to play this role. See our "Initiatives" page to learn more about the Foundation’s work in this role. Custodian. We are a steward of the resources entrusted to the Foundation. Gifts to the endowment are invested for the long-term by experienced Trustee banks. We are careful to preserve and grow the endowment, even as we re-invest funds back into the community each year. William H. Milton, 3rd, a leader at Schenectady Trust Company, developed the idea for the Foundation based on his research as a graduate student. In 1962, with the bank’s support, he engaged the community’s leaders and local banks to establish The Schenectady Foundation. The concept was for each bank to establish a fund to which members of the community could leave their legacy – via bequests, wills, and estate plans – as well as from gifts made during their lifetime. Among the people instrumental in the early development of the Foundation were Charles W. Carl, Jr., Wells Corbin, Agnes Macdonald, Kay Rozendaal and other business, community, and philanthropic leaders. Over time, assets held and managed by Trustee banks would grow through appreciation of assets, and from new gifts, providing a sustainable source of support for Schenectady’s charities. In 1963, the Foundation made its first grant: $250 to the YMCA. While a modest gift at that time (about $1,900 in today’s dollars), it was the first of many to come. The Schenectady Foundation is the only community foundation exclusively serving Schenectady County. By developing an endowment for our community, the Foundation is able to make grants that impact our health and well-being for generations to come. A core value of the Foundation is to minimize internal expenses in order to maximize the return of funds to the community in the form of grants and scholarships. This means more of the income from our donors' contributions goes to directly support the community. In its early years, the Foundation restricted its funding to capital needs – or “hard” assets – of non-profit organizations – buildings, furnishings, equipment, etc. By 2007, informed by listening sessions with community and non-profit leaders, the Foundation began to identify key focus issues. In 2008, a focus on Strengthening Families was adopted, urging grant applicants to comprehensively and collaboratively serve families. Since then, the Foundation has led a coalition to provide for long-term recovery services for victims of tropical storm Irene (2011) and to help those displaced by the Jay Street Fire (2015). The Foundation also provided leadership to launch and sustain the Bridges Out of Poverty movement. In 2015, the Foundation initiated the Call to Action for Schenectady's Youth as its primary focus. Most recently, the Foundation has articulated an emerging interest in Neighborhood Revitalization. Community leaders serve on the Foundation's Distribution Committee, ensuring that funding goes to address effective programs and community priorities. The Distribution Committee also evaluates the investment performance of the Trustee Banks and is responsible for the broader governance needs of the Foundation such as audit, finance, and transparency. Banks with trust powers in Schenectady County are eligible to serve as Trustees of the Foundation. The Trustees manage and invest funds, generate income for the charitable purposes of the Foundation, and perform fiscal oversight responsibilities. Trustco Bank and Key Bank currently serve as Trustees. The Appointing Authority is responsible for appointing a majority of the members of the Distribution Committee, ensuring that the Committee is responsive to and reflective of the community. Appointing Authority members are the president of Union College, board officers of the Chamber of Commerce and the United Way, and the president of Schenectady County Community College. A supporting organization, The Schenectady Foundation, Inc. was formed in 2009 to serve as the operating arm of the Foundation. "TSF, Inc." carries out the day to day responsibilities of the Foundation including community outreach, program development, grant oversight, marketing, and fundraising. The Foundation's Distribution Committee ensures that funds generated from the community's endowment are effectively granted to address the community's needs. Members are selected for their passion for the community, knowledge of its needs, and their skills and capabilities. Debby has a distinguished record of community service as a board member of numerous charitable institutions, including the Ellis Medicine Board of Trustees (chair), and the Boys and Girls Clubs of Schenectady. Among Mrs. Mullaney's leadership positions, she has served as President of the Niskayuna High School PTO, and as President of Niskayuna DARE. Her community awards and nominations include the Niskayuna High School Hall of Fame Inductee, a YWCA Woman of Achievement, a Junior League Volunteer of the Year, and a Kay S. Rozendaal Volunteer Award Nominee. 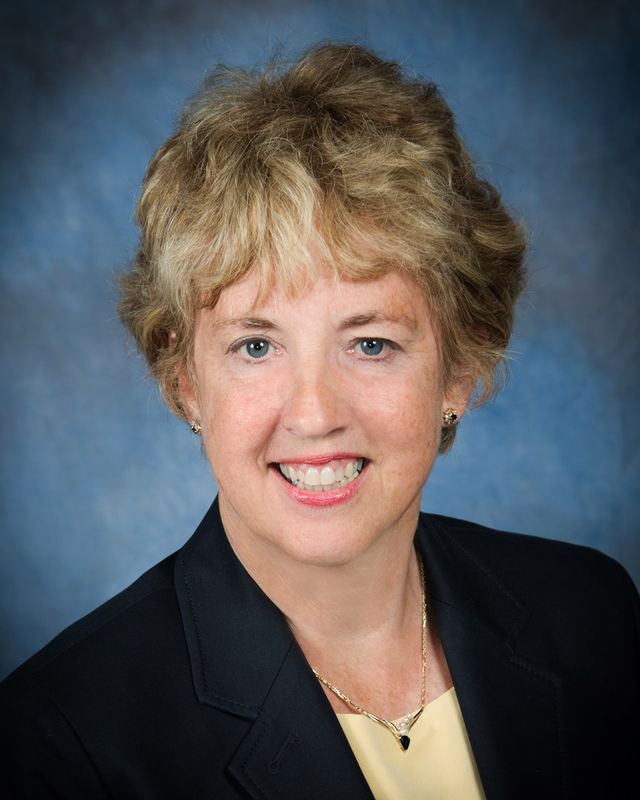 Debby is the recipient of the 2015 New York State Senate Woman of Distinction Award and the 2015 Hospital Association of New York State Leadership and Advocacy Award. 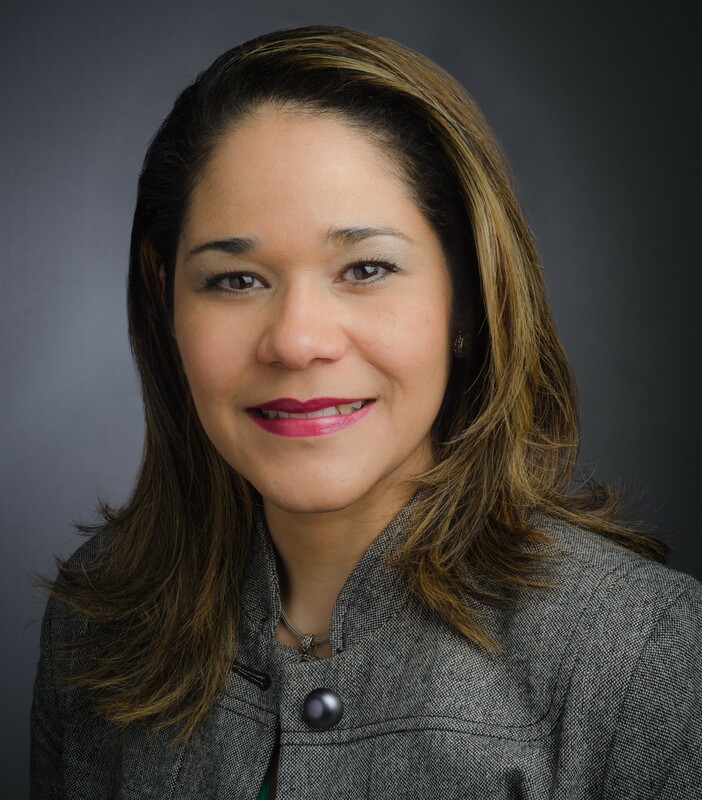 Omayra, originally from Puerto Rico, earned her Ph.D. in Chemistry from the University of California Berkeley in 2003 and joined GE's Global Research Center (GRC) in Niskayuna, New York to work on Healthcare and Biotechnology programs. Omayra was deeply involved with outreach efforts linked to her personal passion for education, with a focus on STEM for underrepresented groups. In 2009, she initiated the Inspire Program, gaining support from GE GRC's leadership. In 2010, the program was presented with the GE Global Impact Award in Education. Omayra has been teaching chemistry at the College of St. Rose in Albany since 2014, and she earned her MBA degree from SUNY Albany in 2016. Dr. Padilla De Jesús currently serves as the Executive Director of Rise High Inc., an organization fueled by the passion of science and outreach to youth -- using science as a tool to develop knowledge and skills in youth for a path to success. Jen served as Vice President and Treasurer of the Golub Corporation with responsibility for all treasury functions of the parent company of Price Chopper Supermarkets. Her community involvement includes the City Mission of Schenectady and the Schenectady Rotary. Ms. Kenneally is an alumnus of Siena College (1985) with a B.S. in Finance and chairs the Distribution Committee's Audit Committee. Martha has proudly served the State University of New York for over thirty years while employed at SUNY-Cobleskill, Schenectady County Community College and now, the University at Albany. In May 2017, Dr. Asselin became the Director of The Center for Leadership and Service and is a Visiting Professor for the Educational Administration and Leadership program at the State University of New York – University at Albany. Her professional experience includes serving as Acting President of Schenectady County Community College, and almost 20 years as the Vice President/Dean of Student Affairs. Bob retired from Sunnyview Rehabilitation Hospital where he spent his entire professional career, starting as a social worker, and finally serving as President and CEO from 2000-2007. Since retiring, Mr. Bylancik has served as interim CEO at Hometown Health, Schenectady’s federally qualified health center. He is a retired member of the American Congress of Rehabilitation Medicine, American College of Healthcare Executives and the National Association of Social Workers. Deryck has served as a Stewart's District Manager in Schenectady, Albany, and Greene Counties for over 20 years. He is the founder and chairman of the Schenectady Guyanese Cultural Center/Hindu Temple. Mr. Singh, organized the Schenectady Youth Group, produced over 30 fundraising talent shows in the past 15 years and has been instrumental in fundraising efforts for the former St. Thomas Catholic Church Mt. Pleasant - now the home of the Guyanese Cultural Center. Deryck helped initiate a relocation program that attracted thousands of new Guyanese and Trinidadian residents to Schenectady since 1999. Joe is President of Joseph Tardi Associates, a public relations, marketing and advertising firm. He has represented Fortune 500 companies, as well as independent and chain retailers, and has been a consultant to ABC Television and CBS Records. 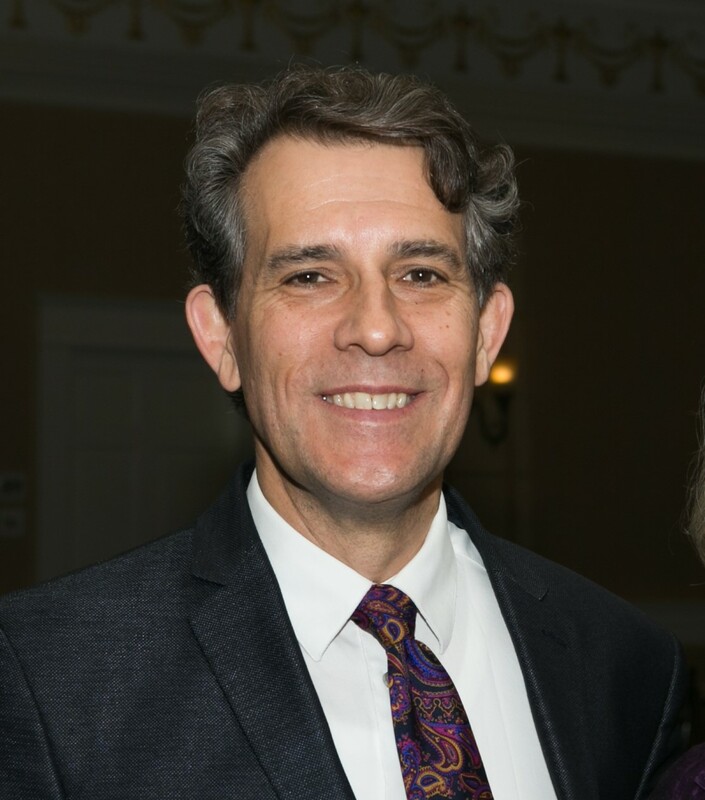 A graduate of Siena College, Mr. Tardi serves on the Board of Associates for the College of Saint Rose, is a member of the Board of the Saratoga Automobile Museum and is President of the Schenectady Arts and Entertainment District. He has served on numerous additional boards including the March of Dimes and Northeast Association of the Blind and supports neighborhood landscape projects to promote neighborhood pride. Herb, a former President and COO of Fenimore Asset Management, shares his expertise with a wide range of organizations in the Capital Region. He has served on the boards of Capital Repertory Theater, Parsons Child and Family Center and the Albany-Colonie Chamber of Commerce. Mr. Shultz is a member of the advisory board of The Community Foundation of Capital Region's Health Committee and a board member of the Capital Region Sponsor-A-Scholar, Inc., 15-Love and Proctors Theatre. Mike has served as the Senior Vice President and Chief Financial Officer of TrustCo Bank NY since 2014. Mike served as an Administrative Vice President of Accounting and Finance at TrustCo Bank and TrustCo Bank Corp. NY from 2010 to 2014, and served as its Vice President of Finance from 2004 to June of 2010. Mr. Ozimek served with the audit, tax and advisory firm of KPMG LLP. Local financial institutions play an important role in the Foundation. Banks with trust powers in Schenectady County are eligible to serve as Trustees of the Foundation. The Trustees hold and invest funds, generate income for the charitable purposes of the Foundation and perform fiscal oversight responsibilities. Gifts to The Schenectady Foundation, whether contributed through estates or direct cash, are held by one of the Trustee banks. John joined Trustco Bank in November 2003. Prior to joining the Trust Department, John managed the Retail Lending Department and also has experience as a manager within Branch Administration. John received his Bachelor of Science Degree in Finance from Providence College in 2002 and holds N.Y.S. Life and Health Insurance License. He currently serves as board member at Schenectady ARC in Schenectady, NY. Cynthia serves as the Senior Trust Officer with Key Bank, where she works with clients in a fiduciary capacity to develop and implement estate plans based on their goals and aspirations. In addition, Cynthia works as an extension of Key’s Non-Profit Services group who specializes in servicing nonprofit accounts. In her role as Senior Trust Officer, she is the primary contact for several nonprofit organizations with respect to document analysis and interpretation. In addition to her role as Senior Trust Officer, Cynthia is the Regional Director of Trust for Key Private Bank covering the Northeast. Our capable and dedicated staff works in a team environment to ensure the overall quality of programs, donor satisfaction, transparency, and accountability. You may reach any of us by calling (518) 393-9500 weekdays from 8 am to 5 pm. Robert is responsible for driving the Foundation's strategic initiatives and community impact, working with donors and gift advisors and developing strategic relationships with community stakeholders. While his formal title may be "Executive Director", he sees his role as being our "Chief Catalyst". He has been involved with the Foundation since 1992 as its Secretary and was appointed Executive Director in 2010. With 30 years' experience in the charitable sector, his work has included strategic consulting with foundations and corporations to focus their work on achieving outcomes. Mr. Carreau's volunteerism has included service as a trustee of the Carlilian Foundation and on the board of the Empire State Youth Orchestras. "It is an honor for me to be involved with The Schenectady Foundation. I knew and admired its founders -- every day I carry with me the values they embedded at its origination: to ensure that we are outstanding stewards of funds entrusted to us; to add value to the community; to maintain exemplary ethical standards; and to continue to uphold the trust placed in us by donors and the community." Prior to his work with the Foundation, Carreau led the United Way of Schenectady County as its CEO. He earned a master's degree in Political Communications from the State University at Albany. Robert and his wife, Karin, have two grown children and a dog named Henri. When not involved in Foundation or community work, Carreau finds time to throw pottery and play the mandolin. Jean maintains the financial and administrative records of The Schenectady Foundation, oversees its scholarship programs, and administers grant payments and reporting. She provides guidance to applicants, grantees, and scholars regarding the Foundation's grant and scholarship processes. Jean played a key role in transitioning the Foundation to an online grant process. Jean, who joined the staff at the Foundation in 2011, brings years of experience serving as legal administrator to law firms in the Albany, New York area. She is very excited to be working in the not-for-profit sector and with the related partnerships of Schenectady, the city where she and her husband have lived since 1985. Jean's hometown is Union Springs, where she lived on a dairy farm in the middle of New York's Finger Lakes Region. She landed in the Capital District after attending the University at Albany, obtaining her undergraduate degree in German with a Secondary Education Concentration and her Masters in Remedial Reading. In addition to her prior legal administrator roles, she adds proofreader, claims auditor, and reading/resource room teacher to her resume. Her interest in children and education has kept her involved with teaching Sunday School classes for over 25 years. She also enjoys reading, piano, and travel. Kristi brings several years of non-profit grant writing and administration experience to The Schenectady Foundation’s grant evaluation process. She reviews and evaluates funding applications to the Foundation with the main focus of ensuring that its highly sought-after funds are directed toward the applicants and the programs that will have the most significant impact on the lives of those who reside in Schenectady County. As a transplant from the great State of Maine, Kristi earned a master’s degree in Social Psychology from the University at Albany and made a home in the Capital Region with her husband, Liam, and their two sweet babies, Jack and Hannah. When she’s not chasing toddlers around, Kristi enjoys reading, running, and baking vegan desserts. Nick’s role is to advance the day-to-day projects and programs of the Schenectady STEM Alliance, which was organized by the Schenectady Foundation in 2016. The STEM Alliance is a collaboration intended to drive a community movement guiding school-age children onto a pathway to a productive future through engagement in science, technology, engineering and math (STEM). Nick is proud to be working in the non-profit sector and contributing to improving the awareness and accessibility of after-school STEM learning opportunities in our communities. Prior to joining the Foundation, Nick worked in the private industry for over 20 years as a transportation engineer and software manager and is a graduate of Clarkson University. Nick and his wife, Tina, have two teenage children, Emma and Luke. He enjoys attending his kids’ theatre performances and basketball games, and also likes to bike and build woodworking projects.